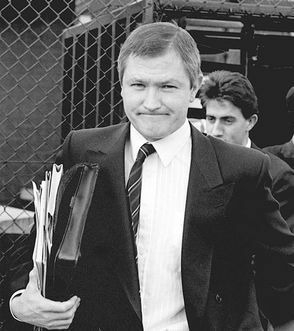 TODAY marks 24 years since solicitor Pat Finucane was shot dead in a killing which has become a defining symbol of the state’s complicity in the Troubles. The government-commissioned report into the murder has yielded secrets of the “dirty war” which still have the power to shock – such as the existence of a senior RUC officer helping loyalists procure weapons – but other pieces of the picture remain off-limits to this day. The review by Sir Desmond de Silva portrays intelligence agencies within the British Army, RUC and MI5 not only at war with each other, but deeply enmeshed with loyalist paramilitaries engaged in a vicious sectarian murder campaign at that time. When the report was published two months ago, the Government presented it as the final word on collusion in the Finucane case. But does the de Silva review hold anyone to account or, instead conveniently lay much of the blame at the feet of dead men and defunct institutions? The Detail has studied the report in-depth and spoken to some of those who know the case best, including Mr Finucane’s youngest son, John, who is now himself a solicitor and who maintains that de Silva raises more questions than it answers. LOYALISTS AND SECURITY FORCES: WHO WAS DEBRIEFING WHOM? Previously classified intelligence documents now show that both MI5 and Special Branch were aware that an unnamed senior RUC officer was actively helping loyalist paramilitaries to procure weapons in the 1980s. The task of targeting loyalist paramilitaries within the RUC was undertaken by a specialist unit E3B. The official position has always been that leaks to loyalist paramilitaries were confined to rogue low-level members of the security forces. Despite this the de Silva review found that the majority of allegations of RUC leaks to loyalist paramilitaries were never investigated. Many UDA attacks could be traced back to assistance initially provided by members of the security forces. In 1985 MI5 assessed that 85% of UDA ‘intelligence’ used to target nationalists originated from within the security forces. In 1988 each of the UDA’s six `brigade’ areas were said to have at least 20 individual RUC sources of intelligence. In December 1988 RUC Special Branch and MI5 had intelligence that a senior west Belfast UDA gunman was planning to break into a Royal Irish Regiment (RIR) base at Ballykinlar in Co Down to steal army intelligence to be used to target nationalists. A Ministry of Defence internal document confirmed that Catholic father-of-four Loughlin Maginn was later murdered as a result of intelligence which the UDA gang obtained from the Ballykinlar break-in. The document further disclosed that UDA gunmen plotting another murder in the South Down area had planned to hide in the army base after the killing. L/03 was later identified as being one of the ringleaders of the UDA gang responsible for the murder of Pat Finucane and a series of sectarian killings in the late 1980s and early 1990s. The review found that RUC efforts to contain the UDA in west Belfast had been “grossly inadequate”. 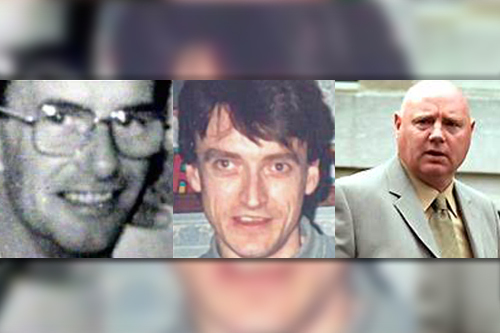 “I was able to trace the involvement of that particular gang through a series of murders and attacks by the West Belfast UDA during the year prior to Patrick Finucane’s murder,” said de Silva. “I have seen the significant amount of intelligence that the RUC SB received at the time linking those individuals to the attacks, at least some of which was passed to the RUC Criminal Investigation Department (CID). The review found that the RUC took “comparatively, very little exploitative action” resulting from intelligence on loyalist targeting. The review found that the UDA’s west Belfast `brigadier` Tommy Lyttle was being assisted by RUC and Special Branch. From 1986 onwards he was receiving intelligence from an RUC superintendent while in December 1987 he was given a large number of RUC photomontages. Declassified documents showed evidence that both FRU and RUC provided targeting information for the UDA via the loyalist double agent Brian Nelson, one of the central figures in the Finucane case and many of the other loyalist killings of the late 80s and early 90s. Nelson’s intelligence files were found to bear a “striking resemblance” to Special Branch files on Pat Finucane and de Silva reflects a startling level of impunity with which Nelson operated in an era of extreme loyalist violence. In 1988 Nelson was provided with targeting material on at least four occasions, one of which related to FRU passing information to Nelson at the request of the RUC. Nelson was dismayed that handlers had not celebrated his involvement in the murder of Jimmy Craig in October 1988 with a celebratory drink. Nelson’s FRU handler later wrote that a celebratory drink might have been appropriate had they known about his role in the murder. However the internal war between Special Branch (SB), the Force Research Unit (FRU) and MI5 for the ultimate control of power undoubtedly led to innocent civilians being killed. “The RUC SB blamed the FRU and vice versa.